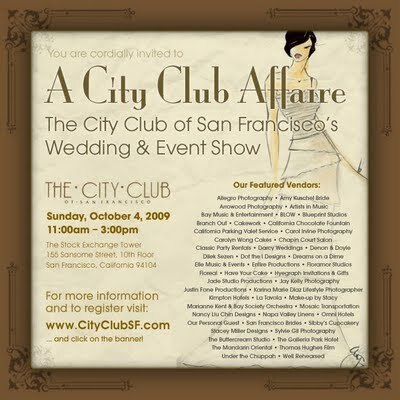 Join Me at the City Club Affaire | Entire Productions, Inc. The City Club is a stunning, unusual and old-world venue that will certainly impress guests and make them feel comfortable all at the same time! I LOVE it there. Its Art Deco architecture and interior evoke the artistry and flair of a time gone by. The beautiful mural by Diego Rivera is the centerpiece and a beautiful backdrop to the impressive grand stairway. It's a perfect photo-op for couples, or your entire group! As a member of the City Club, I have been treated to the divine cuisine of the Chef! It's wonderful, and their service is impeccable! 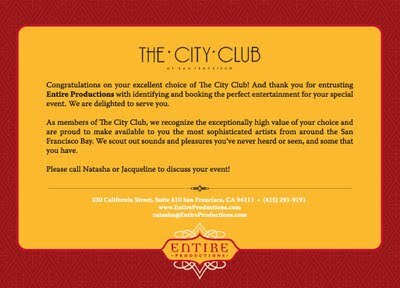 Join us there on October 4th to see for yourself, and experience the City Club in its full regalia! We are a preferred vendor and take pride in booking the perfect entertainment for your event. We love what we do! Sign up now, and let me know if you're to be expected. I look forward to seeing everyone there!